Residents of our Pleasanton apartments get to enjoy Pleasanton's historic downtown which features many structures from the 1800s, including wonderful examples of Gothic Revival, Colonial Revival and Queen Anne styles. Visitors can take walking tours and see such landmarks as the Kolin Hardware Building and La Hacienda del Pozo de Verona. Every Saturday there is a farmers market just off Main Street, and the Alameda Fair Grounds host great family events like car shows and the Highland Games. Our Pleasanton apartments offer comfortable, carefree living in one of San Francisco's most affluent suburbs. These recently renovated apartments are just across the street from Nielsen Park, where you can relax or get in a morning jog. Convenient shopping is just down the street the Rose Pavilion, Metro 580 and the Stoneridge Mall. You are also close to the BART station and I-580 and I-680 for commuting to San Mateo, San Jose and Oakland. 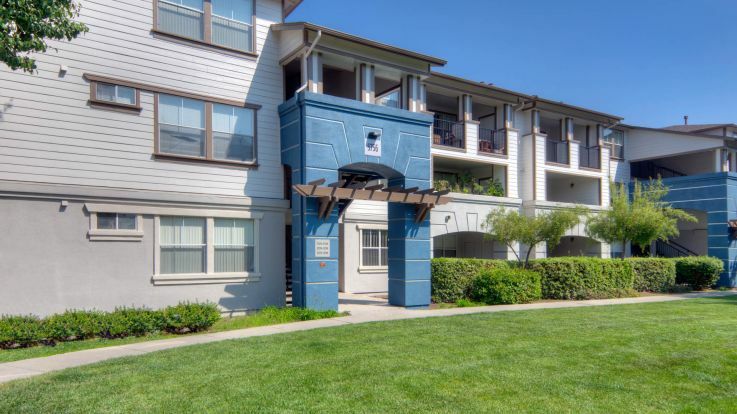 Pleasanton apartments are close to major East Bay North employers like Kaiser Permanente, Cisco Systems, Symantec, Safeway, Thoratec and Shaklee. The area has great public schools like Donlon, Fairlands and Vintage Hills, and Amador and Foothill High Schools are been ranked among the best in the nation. You can also take advantage of local recreational facilities at Pleasanton Tennis and Community Park. You will love our Pleasanton apartments, from the manicured grounds to the friendly on-site management. Our apartments feature fireplaces, spacious closets, in-home washer/dryer and private balconies or patios with pond views. Property amenities include a fitness center, swimming pool and covered parking.